Her name is given by Navicula as CATHARINA. 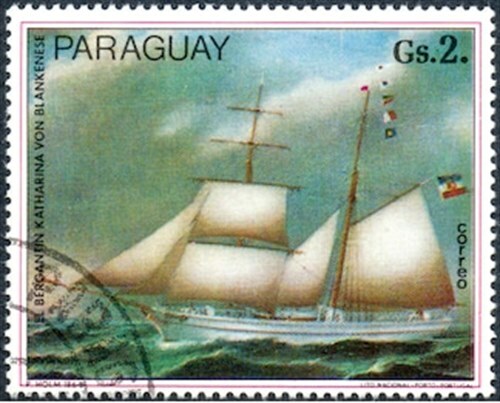 The stamp is designed after a painting made by L. Petersen and P. Holm. 1862 Built by Dietrich Kremer in Blankenese for the brothers Captain Johannes and Johann Joachim Backhaus. 24 April 1880 with a general cargo she stranded on the bar of Opolo, West Africa, and was wrecked. 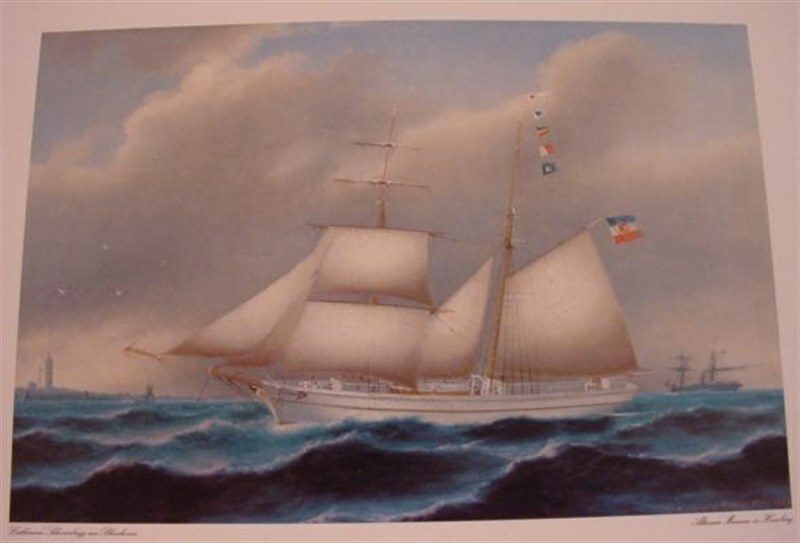 The ships painting was made by Peter Christian Holm (1823-1888) who worked in Altona and Hamburg. The CATHARINA was painted in 1864 when she entered CUXHAVEN on the Elbe River. She is shown with the Schleswig Holstein flag. The painting is now in the Altonaer Museum Hamburg.